I liked the view of the 180 degree sea. The fecilities like the museums was awesome.also the beaches isn’t crowded and have almost like a private type beach. Amazing views over False Bay, especially at sunrise and sunset! Nice and spacious. An amazing view. Everything of the is very very good. I felt comfortable and relaxed during my stay. the location the room and ben the hower who came late for the keys and some information thank you will come back ! Very good location. Clean and comfortable room. I was happy to find there a heater and additional blankets. The wi-fi was excelent. The views were great and it had a very relaxing feel. The environment is very comfortable and cozy. From the check in to check out, the procedure is clear and the host is so friendly. Lock in a great price for Roman Rock Studios – rated 8.9 by recent guests! One of our best sellers in Simonʼs Town! The refurbished Roman Rock Studios offer spacious self-catering accommodations located in Simon’s Town. Free WiFi access is available. Boulders Beach is a 2-minute drive away. The apartments will provide you with a seating area and a flat-screen TV with selected satellite DSTV channels. The apartments come with a fully equipped kitchen featuring granite work tops, a microwave and refrigerator. All bathrooms are private and have a shower, basin and toilet. At Roman Rock Studios you will find barbecue facilities. During whale season guests can enjoy whale watching from your balcony or patio. If you feel like visiting the surroundings, check out the harbor in Simon's Town, which is 2.2 mi away or Cape Point, a 30-minute drive from the property. 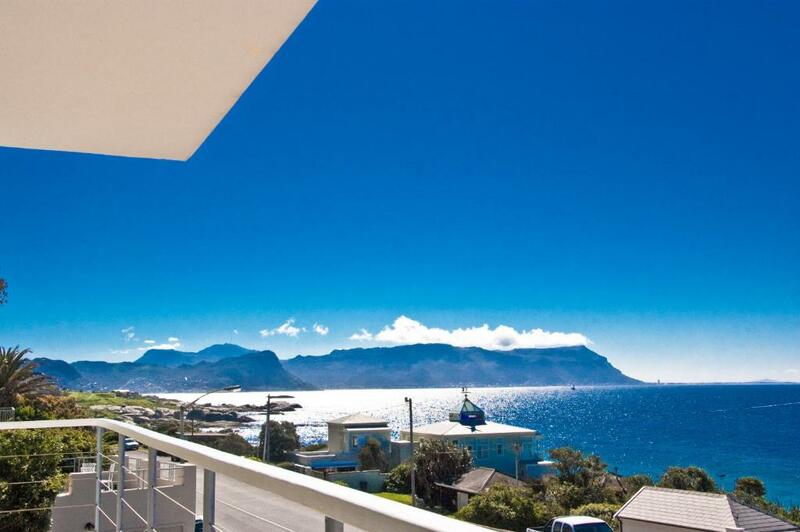 뀐 Located in the top-rated area in Simonʼs Town, this property has an excellent location score of 9.0! When would you like to stay at Roman Rock Studios? This apartment features a stovetop, balcony and dining area. This apartment has a toaster, kitchenware and sea view. This apartment features a toaster, stovetop and barbecue. This apartment features a stovetop, kitchenware and satellite TV. This property used to be an A Frame property before it was converted in the 90s. The property is famous among divers as it was and still is a very popular landmark for divers, known as the A frame dive spot. As a family we have lived in Simon's Town for nearly 3 years, although my wife is from Simon's Town originally. However, we met in England, and got married in South Africa in 2010. Life has been good for us, we are blessed with two wonderful children (2016: ages 2 and 5) and my wife's parents have been in Simon's Town for over 30 years. Simon's Town is a relatively safe neighbourhood - 6 months ago there was an article suggesting the safest in South Africa - however like all places in SA, you have to be careful. Simon's Town is known as the South African naval base, and from a tourist perspective is close to 2 major tourist attractions in South Africa which are Cape Point and the Penguins on Boulders Beach. Most people enjoy Simon's Town since it feels like a coastal holiday town so you can relax and get some rest, but still be close enough to most places in Cape Town within 45 minutes. House Rules Roman Rock Studios takes special requests – add in the next step! Roman Rock Studios accepts these cards and reserves the right to temporarily hold an amount prior to arrival. Please inform Roman Rock Studios of your expected arrival time in advance. You can use the Special Requests box when booking, or contact the property directly using the contact details in your confirmation. The property is on the Main Road and the cars are very noisy at times. The place was generally clean, but the microwave and stovetop was rusted and not very appealing. 1 hour drive to city centre eg: V&A waterfront. Restricted check in time. Good location for the cape and for Boulder’s Beach. Lovely view, very comfortable bed and living area. Just the water flow in shower was a problem. Raised it with Annie and she had it looked at, but still not 100% fixed. Everything about this apartment was stunning. Location, views, comfy beds and warm hospitality on arrival. Location was good as we were about 30 min walk from Boulders Beach. Property was lovely and very clean and spacious. Host was also very friendly. Very very clean and organized! Well Prepared for Load shedding. The stairs were rather steep. The view was good - the bushes need to be cut back though. Kettle was leaking water, but not seriously, other than that, no issues. All in all a very clean and well kept apartment with all that is needed for a comfortable stay. Rather noisy road. Bright at night, prefer dark black out at night. Beach towels or blanket, relaxing chairs for balcony would be really useful. Exceptional Views, a comfortable spacious unit, balcony. There were a couple of cars broken into on the street outside the property, but the house itself had good security. The host was great and brought over keys and showed us around the property. Views were fantastic. There was a handy kitchen, wifi and comfy beds. 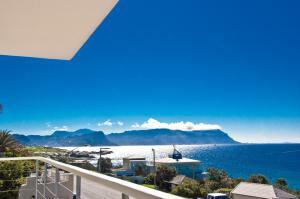 Wonderful Sea views, well equipped for self catering, and conveniently close to good restaurants if needed. lovely historic town and surrounding area great to explore. Owners were very attentive and helpful!